Two films in the past few years have utilized ambiguity: The Master and The Tree of Life. Both films have polarized audiences and have both a fair share of admirers and detractors (I am an ardent fan of both). But these weren’t the first films to have done this in the past. David Lynch’s Mulholland Drive used this as well, and of course I cannot forget the great grandaddy of it: 2001: A Space Odyssey. I will defend any of these movies against anyone. I was one of the very few bloggers who loved The Master, and declared The Tree of Life to be the best film of 2011. 2001: A Space Odyssey is my second favorite movie of all time after Apocalypse Now, and Mulholland Drive would also be in my top ten. So I thought I should have a discussion about ambiguity. I feel that the directors, like Stanley Kubrick, David Lynch, Paul Thomas Anderson, and Terrence Malick, are all trying to use ambiguity to have a deeper meaning in their films. Mulholland Drive and The Master end on unclear notes and both 2001 and The Tree of Life take uncommon narratives. Let me start my discussion with Mulholland Drive. The first two hours or so of the movie introduce us to Betty and Rita, and give multiple characters and scenarios that don’t seem to fit in to the film, like the failed heist. The last half an hour changes the movie upside down. Soon both Betty and Rita are actually two different people, and unimportant characters before now get bigger roles. The film ends at a theater with a woman crying out “silencio.” And that’s it. I believe that David Lynch has made a movie that make the audience the detective. The first part of the movie really is him laying out all the puzzle pieces and the last half an hour is what happened. The only way to completely understand the film is really to pick up all the clues, something which most audiences aren’t used to. 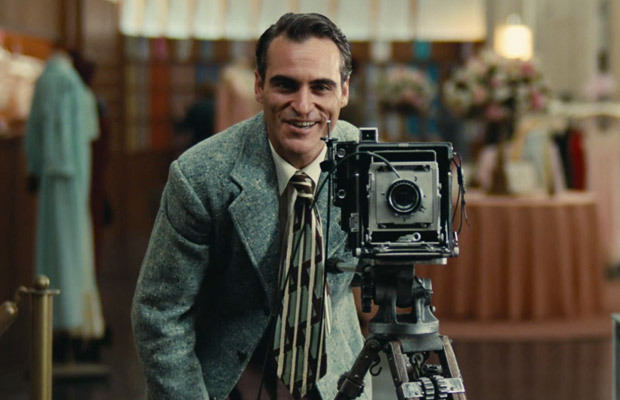 Paul Thomas Anderson takes a similar approach for The Master. Instead of laying out all the characters’ motives, Anderson keeps them cryptic, teasing the audience. The movie ends with an image that recurs throughout the film: Freddy Quell lying on a beach next to a sand sculpture of a naked woman. Anderson’s use of symbolism is recurrent throughout the movie, which he also used in Magnolia. Like Lynch, Anderson wants the audiences to examine the characters and to fully understand them. He leaves many questions unanswered so that the audience will still be thinking about the movie after they’ve seen it. I haven’t stopped thinking about The Master, even though it’s been about four months since I last saw it in theaters. 2001: A Space Odyssey acts as a question-raiser. Stanley Kubrick leaves the movie very ambiguous. The first fifteen minutes or so are dedicated to scenes that seem irrelevant to the major plot seen later. What’s the point of showing apes fighting each other? But as the movie progresses, these scenes remain important. Kubrick explores evolution in the movie. The final scene, which features Dave becoming a star child, represents him being reborn into an entity, which is caused by the monoliths. That’s my interpretation at least, and I think Kubrick’s intention was to have every view have his own interpretation. The Tree of Life takes the most nonlinear approach out of all these films. Terrence Malick brings up symbolism through multiple scenes. The creation of the universe, the development of life, and even the dinosaurs all are metaphors for the O’Brien family. Malick’s other movies show his love of nature and beauty, and with The Tree of Life he cranks it up to the full-notch. The film ends with all the people from Jack’s life at a beach, representing all of his dreams and feelings. The people who love it really love it and the people who hate it really hate it (fun fact: David Lynch, a big fan of Malick, stated that The Tree of Life “wasn’t (his) cup of tea”). It’s a movie I feel that if you don’t connect to you won’t enjoy. All of these challenge the viewer to do more than just watch the film. In years to come, I believe both The Master and The Tree of Life will be idealized by critics. That’s already happened to 2001, which is widely considered to be one of the greatest films of all time, and to Mulholland Drive. It’s understandable why people don’t like these films. I didn’t enjoy seeing 2001 the first time around. These films want to be more than just entertainment and really want to question the viewer. But I feel that all the films I have mentioned are classics that will go down in film history. Great post, I think that ambiguity can be a good thing as you as an individual create your own reasoning behind the film. Yeah, I feel that ambiguity is used to really question audiences and make them think. That’s what I love about it. Thanks for commenting. I could only actually read the 2001 part as I haven’t seen the others but that is certainly a film that probably has a different interpretation for everyone who watches it! Brilliant film though, if a little crazy! I love the multiple interpretations of 2001, which is why it’s one of my favorite movies. I recommend the others. Thanks for commenting. I’d have to agree with you. I was shocked to see people giving movies like ‘The Tree of Life’, ‘The New World’ and even Sharon Maguire’s ‘Incendiary’ poor reviews. I’d even throw Nicolas Winding Refn’s ‘Valhalla Rising’ and ‘Drive’ into the mix as a good examples of using symbolism to tell a deeper story. Yeah, Terrence Malick’s films always seem to be misunderstood by many. Nicolas Refn also uses heavy symbolism in his films, which is the reason why I suspect people didn’t like Drive. I think he’s one of the best filmmakers working today. Thanks for commenting. I haven’t seen I’m Not There. I’ll have to check it out. I think ambiguity is a great device to really make the viewers question the film. It’s the reason why I think films like 2001 are classics. Thanks for commenting. I’d like to add Holy Motors by director Leos Carax to the discussion. It’s one of the most ambiguous movies of the year, perhaps of the decade. I’ve heard it’s very ambiguous. I haven’t found a theater close by that’s playing it but I really want to see it. Thanks for commenting. Kind of odd to think that “The Master” would be considered ambiguous – it’s fairly linear and explicit in its narrative efforts. I think there are some rather peculiar decisions done in terms of tone and imagery. For a more puzzling contemporary film, something like Uncle Boonmee Who Can Recall His Past Lives takes the cake. I think Paul Thomas Anderson hides the characters’ motives to make the film ambiguous. The narrative isn’t actually very complex but we never do fully understand if Freddy really believed in “the Cause” or not. I’ll be sure to see Uncle Boonmee Who Can Recall His Past Lives. Thanks for commenting. I watched ‘Ghost in the Shell’ recently which has quite an ambiguous ending. I wasn’t sure if it was supposed to be sinister or inspiring. You might want to give that a watch too. I’ll watch that as well. Thanks for commenting. Yeah, I feel that ambiguity works well if it fits in. I’ll try to check out some of Luis Buñuel’s movies. Some of his films are available on the Criterion Collection page on Hule, so I’ll watch one soon. Thanks for commenting.